As noted in an [earlier blog post], the Ethnographia Island community recently participated in Linden Lab’s celebration of Second Life’s 13th Birthday (“SL13B”). For SL13B, individuals or groups throughout the virtual world were invited to apply for a parcel of virtual land on a series of temporary islands created especially for the birthday celebration. The celebration had a theme of “shared adventure” and our proposal to build an exhibit about “Sharing a Culture of Poss(a)bility” was accepted! A whole group of Ethnographia Island community members chipped in to turn the empty parcel we received into a beautiful build, with Vincent Van Gogh’s painting “The Starry Night” as its theme. Three people in particular really made this happen: Jadyn Firehawk, Shyla the Super Gecko (Krijon), and Fidget (FidgetsWidgets). They were awesome! Together they reached out to nearly every member of Ethnographia Island so they could share their unique stories, and these were then included in the design. Over the next several weeks we’ll introduce you to many of those who participated in the SL13B, beginning now with Jadyn Firehawk. However, Jadyn is not completely new to collaboration! We recently blogged about two houses on display at Ethnographia Island through July 31st, designed by Kasimir Deimatov and built by Jadyn. Jadyn clearly has a history of collaborating in very supportive ways. In addition to her work with Kasimir (who is quadriplegic), Jadyn helped build a ballroom on Ethnographia Island for Keao Wright (who is blind). In her work with Kasimir, she became his hands; with Keao, Jadyn worked as her eyes. Jadyn had not planned to take on a leadership role in SL13B for Ethnographia Island. But she saw an issue brewing that she knew she could resolve. She felt the deadlines looming and saw a lot of good ideas, but nothing had yet been built. Additionally, she’d learned through other builders who understood the nuances of the exhibit building policies that the build could get quite complicated. Jadyn offered her support once again, this time knowing her technical experience could come in handy. 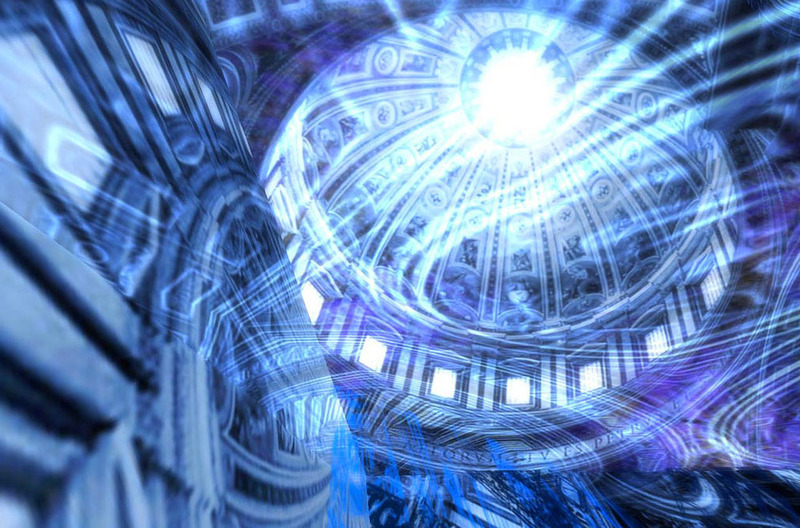 The original concept for the design would require everyone build something that represented their individual Second Life experience. However, the SL13B building regulations allowed only things built by designated team builders (including Jadyn, Fidget and Shyla) to be included, so the original plan had to be scrapped. That’s when the team leaders got to work! In walking us through the design process, Jadyn noted “Given the time pressures to complete the build, I had a very nicely timed hypomanic episode.” In working through the complexities of the build, she envisioned photo collages as a way to represent everyone’s stories. She continued, “I was thinking too, how else to make the photo boards more interesting? I showed my then-flat collages idea to my ‘quadripolar’ friend who suggested photo cubes so it was more 3D.” The term ‘quadripolar’ came from another collaboration Jadyn worked with previously. She explained, “it turned out he has bipolar disorder like I do and we ended up (eep!) collaborating on his kinetic sculpture and he called the finished sculpture ‘Quadripolar’.” What an interesting and positive twist on the creative process. 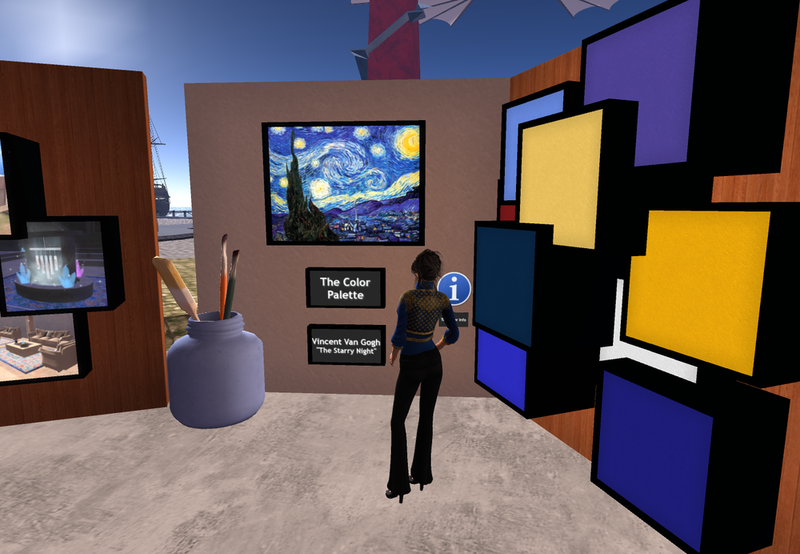 Clearly Jadyn has been collaborating in creative and productive ways in SL for many years. We’re so grateful that she couldn’t say no to the Ethnographia SL13B project! Thanks, Jadyn, for the time, effort and patience to get it done!